RCN activists have rounded on an email about the NHS pay deal communications row, which was sent to members by the college's acting head. One member said the email's content suggested the college is out of touch, another said the message failed to acknowledge the 'real reason' for a forthcoming extraordinary general meeting (EGM) on the issue. 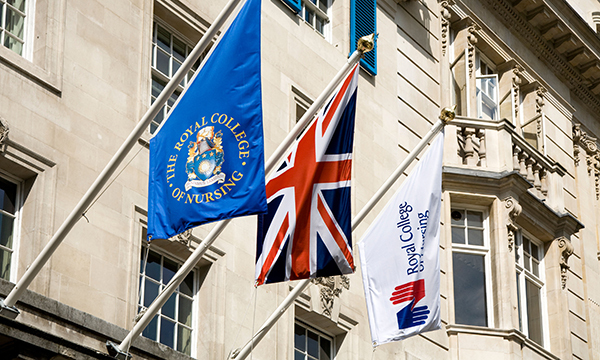 The claims, which the college refutes, come in response to an email sent to RCN members last week by acting general secretary Dame Donna Kinnair. In it, Professor Kinnair said the college would implement the recommendations of an independent review of how the RCN had communicated the detail of the NHS pay offer in England to members. She said review findings would be published before the EGM on 28 September. However, some activists are unhappy the email does not mention the EGM was only organised after more than 1,000 members signed a petition calling for a vote of no confidence in the RCN leadership – and that the meeting's main purpose is to discuss this issue. The RCN today told Nursing Standard it will publish further details about the meeting this week. RCN inner north east London branch member Anthony Johnson told Nursing Standard: ‘The RCN are seeming to show just how out of touch they are. RCN national forensic nursing forum chair Zeba Arif was critical of Professor Kinnair's email on the public Facebook group #nurseroar. It is understood Professor Kinnair’s email was the first time the RCN has written to members about the EGM. The college has advertised registration information for the event on social media and its website, but not the terms of the meeting or why it was called. An RCN spokesperson said: 'The RCN has been in daily contact with members on social media about the EGM, sharing details of the meeting since the date was announced. Full details of the meeting are also on our website. The petition that led to the EGM, was set up after some nurses were unhappy they did not receive a 3% pay uplift in July. The row prompted former RCN general secretary Janet Davies to apologise and subsequently step down from her job.